After writing my post on Wednesday about seed bugs, I sent it down to the Great Bug Guru and Swell Guy, Carl Olson, at the University of Arizona. 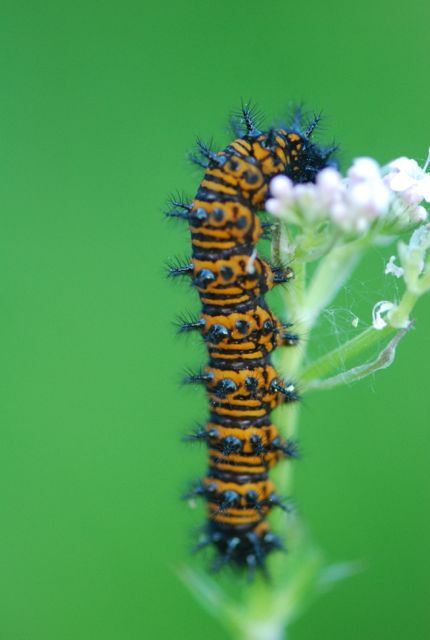 Carl was nice enough to straighten me out on the scientific name of the bug in the photo. 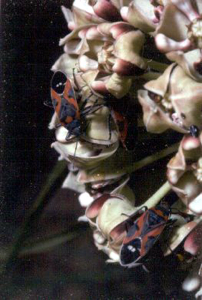 He also let me know that there is similar bug that he has been hearing a lot about here in Phoenix. 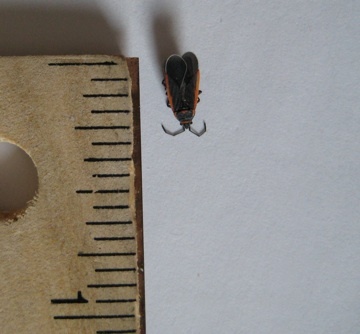 Here is a photo of the bug he's been getting calls about, Neacoryphus lateralis. 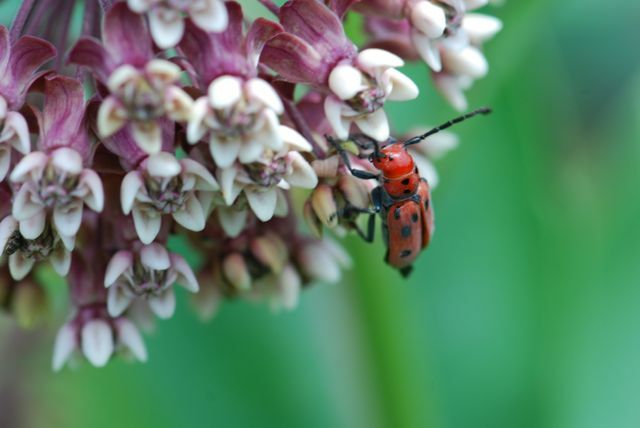 Carl was also nice enough to send me a photo of the small milkweed bug, Lygaeus kalmaii. 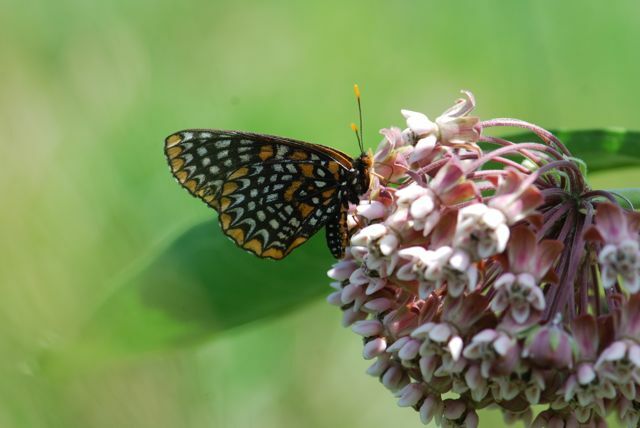 This is the species that may also occur on milkweeds, and also has a white spot (actually a pair of white spots), on the back of its wing.